Forget about purchasing expensive airplane tickets and simply stick to the family car this summer. Traveling by car gives you more freedom and allows you to see the country. You can create your own journey and explore all the interesting spots along the route. You just need to do some planning before you head out, a little bit of preparation can make your summer holiday drive easy and pleasant. We have compiled a list of our Top 10 tips that will help you make the drive enjoyable part of your vacation. Check your car to be sure it is in a good shape for a safe holiday travel. Always travel with two sets of keys and keep them separate in case one gets lost or locked inside the car. Download all necessary maps before you hit the road. Make sure you download (or update if necessary) maps of all the countries you are going to cross. 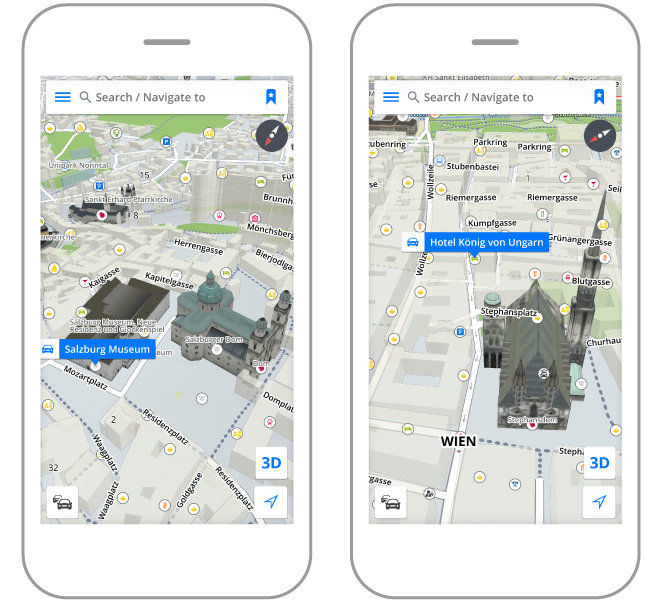 Some of the maps are quite large so you do not want to download them on the way and spend lots of money for the data or roaming charges. Plan the route. How far is your final destination? When do you have to be there? When do you have to head out to get there on time? How many times will you have to stop along the route? Will you take any paid roads and will you need cash for the toll payments? Decide whether you want to get to your destination in shortest time possible or you want to watch your fuel consumption. 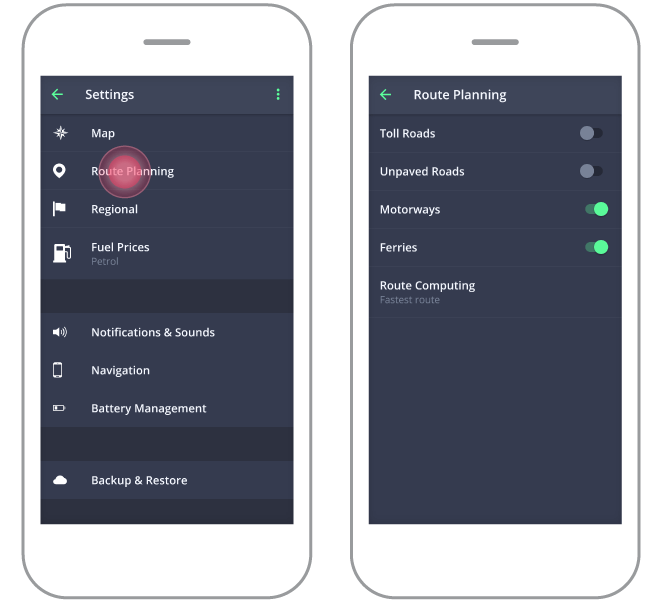 Once you have decided, launch the Sygic app, go to Menu - Settings – Route planning – Route computing. Here you can choose if you want to take the fastest, shortest or most economic route. Pack wisely. If you have a long road ahead, you better make it as pleasant and comfortable as possible. You are going to spend quite some time in the car, so avoid being cramped. Make sure you have a car charger for your device - you don’t want the battery to die just as you are approaching a critical intersection. Pack enough water and snacks and don’t forget your sunglasses. Set up your navigation. Before you get behind the wheel. This is important because there are always more options on how to get from point A to point B. There are a couple of things you should consider when planning your route, such as highways and paid roads. If you want to avoid these, there’s a very simple way to do it. 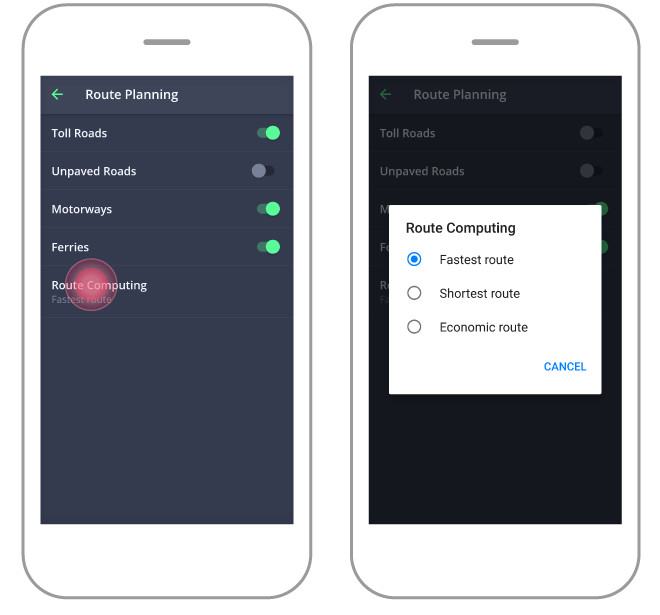 Launch Sygic app, go to Menu - Settings – Route planning. Here you can choose to avoid toll roads, unpaved roads, motorways and ferries. Money matters, so think ahead about when you will have to tank. Keeping your tank full during traveling can get very expensive, but with Sygic Premium license you will see petrol stations nearby and their prices so you can make the best decision where to fuel up. Take frequent breaks. Stretch your legs and relax a little. Never drive if you are feeling tired. It might seem to be a good idea to drive just another hour, or just another 50 kilometers, but it does not make any sense to put you, your family, or other drivers at risk just to save a little time. If you are driving a very long way, consider spreading the drive over two days. 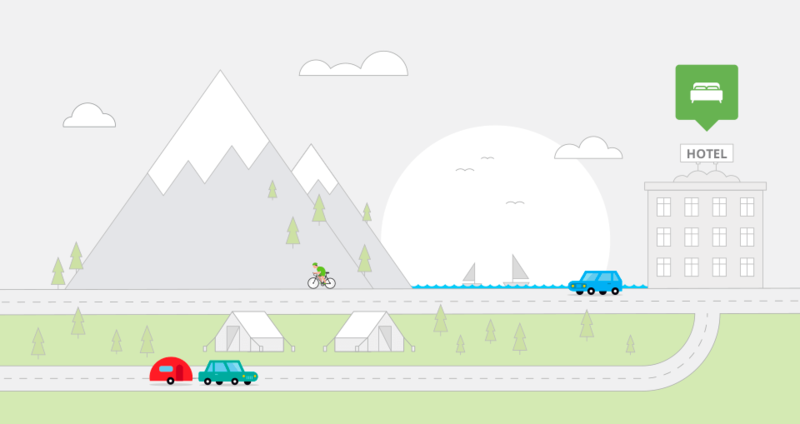 Make your breaks more fun and browse points of interest along your route. You will see tourist attractions, eating places and entertainment possibilities, so you can have some fun and enjoy all the sights on the way to your final destination. And if you didn’t have time to plan your accommodation, you can easily search for hotels close to your destination. Find out how to book hotel rooms via Sygic here. Stay safe. Drive cautiously and pay attention to your surroundings. 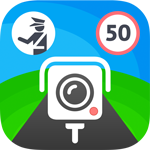 Turn on the Dashcam feature and record the road ahead while you are navigating, so you have evidence for the police or car insurance company if you get involved in an accident. Avoid rush hour. If you are crossing big cities or construction works, keep in mind these might slow you down. You do not want to waste your precious holiday time and end up stuck in a traffic jam. Try to plan your journey so that you cross the critical spots outside peak times. And rely on your Premium + Traffic license to find the fastest route to your final destination.